A range of synthetic brushes made by blending fibers of different thicknesses to achieve strength, spring, and color holding capacity. 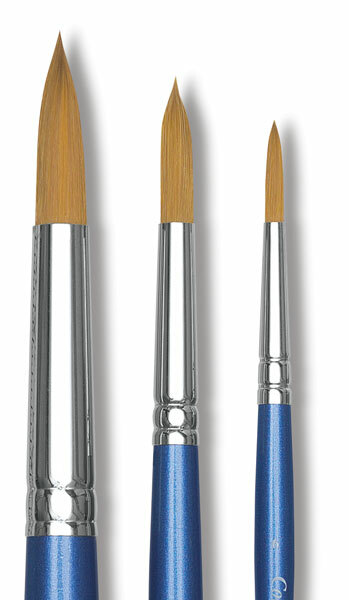 Series 111 brushes have nickel-plated ferrules and short blue lacquered handles. 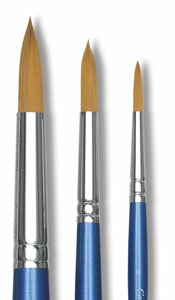 The Designers' Round is a variant on the regular Round brush that is designed for highly detailed application. (Another name for this brush would be a "spotter"!) It is narrower, with less of a belly and lower color carrying capacity, and the hair is shorter for fine control.